Users can select multiple cards and set/update/remove custom fields for all of them simultaneously. This improvement reduces the manual efforts and time spent on custom fields management. Step 1: Use the mouse to draw a rectangle box to select multiple cards at once. 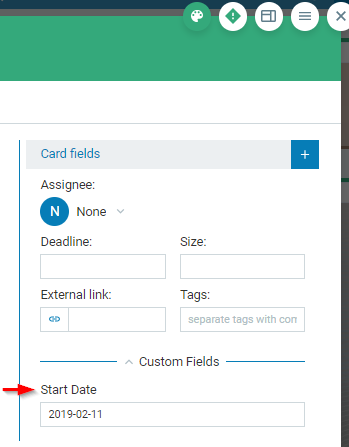 Step 2: Then right-click to open the card Context menu -> select Custom Fields to open a new panel* and get access to all custom fields that have been added to your board. Step 3: * From the "Choose custom field" panel (img.1), select the field that you want to make available on the selection of cards and enter a value. 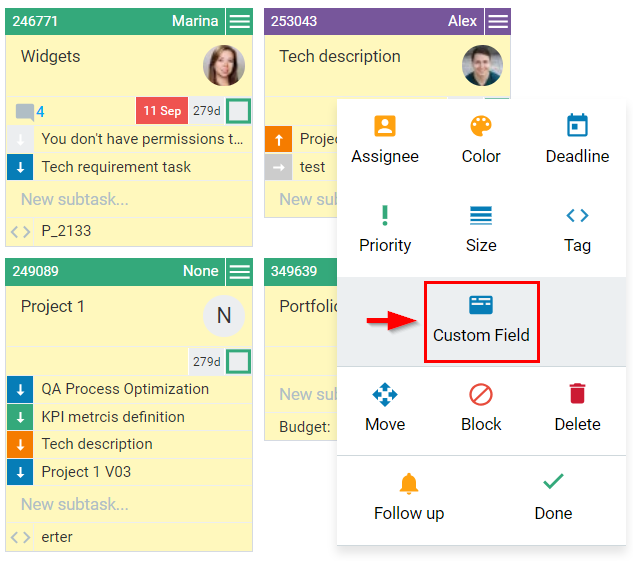 If you are an Account Owner or a Workspace Manager, you can use the Mange Board Custom Fields icon at the top right side to add/create new custom fields for the board. 2. 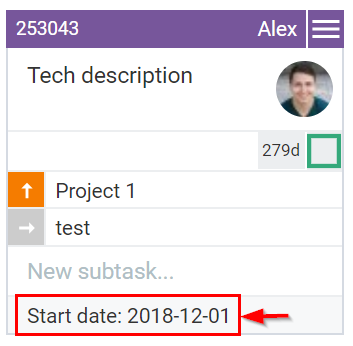 How do Custom fields get displayed on cards? 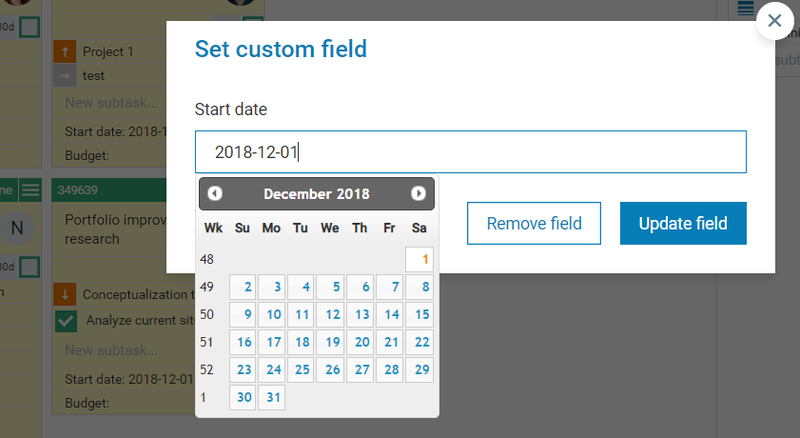 The field you select (for example: Start Date) becomes available in the Card Fields section under the Custom Fields segment. Users can configure cards to make certain cards properties visible at the closed card view. If you make your custom fields explicit (Card settings-> checkmark Custom fields), the custom field you select appears inside the card and at the bottom of all selected closed cards view (img.2). This provides quick access to the custom fields. To update or remove them, just click on the field itself and perform the desired action without opening the card. 3. How to edit/remove multiple custom fields? If you want to update or remove custom fields in bulk, select multiple cards and access the Custom fields panel from the Context menu. Choose the field that you want to update or remove and make your changes via the respective buttons.